I bought another mid-range lavalier microphone and as I work with it for a bit, I wanted to let you hear it relative to another microphone in the same general league. 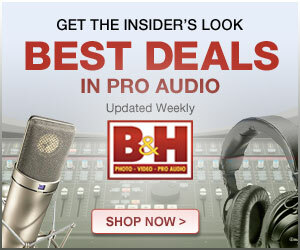 Both mics cost between $100 and $200 USD, both have XLR connectors so they need an XLR based pre-amp/recorder. Let me know which one you prefer in terms of sound and come on back in a couple of days to see the review! For this comparison, I recorded both mics using the new Tascam DR-60DmkII. So far, so good. Still working with it before posting a review but so far, its sounding really good! The pre-amps are impressive for a $200 USD field recorder.